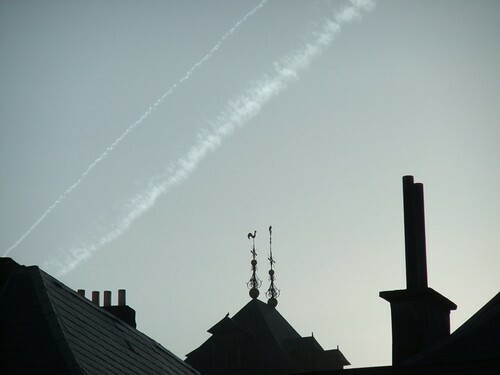 Liège roofs and contrails. Happy Skywatch! Nice composition and a very nice image!